Irene (San Francisco, United States) on 7 November 2018 in Cityscape & Urban and Portfolio. This was taken at a playground. "Quand nous jouions à la marelle,..." Wel done. Superb composiition . Squares are like stainglasses ! We call it "marelle " . Excellent processing. Nice color and detail. 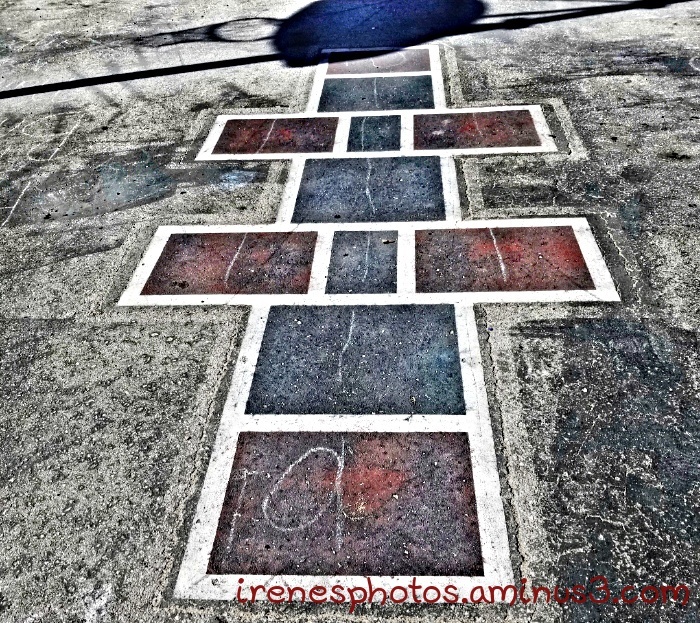 HopScotch. Now that brings back memories. @Ruthiebear: Yes, that's right ! I don’t remember how to play this but it is still being done.